When I was a kid and through to my 20s, my dad was a huge fan of classical music, in fact he had utter disdain for any other kind of music; calling it junk. His collection of classical music was pretty substantial, ranging from popular composers like Mozart, Beethoven, Handel, Bach, and Strauss; Mozart being his favorite. Being a kid, and my father’s son, I couldn’t help but be a little impressionable, as I also became a fan of classical music. 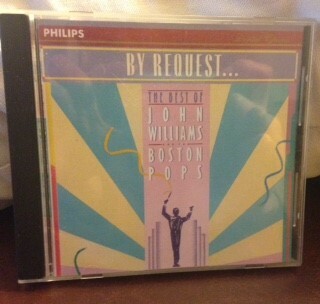 When my father passed away in 2006 I inherited his collection of cd’s and still listen to them to this day. Two cd’s of his in particular hold a special place for me. 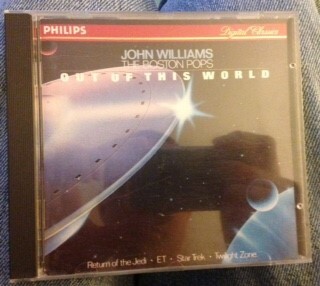 Them being, By Request…The Best of John Williams released in 1983, and John Williams The Boston Pops: Out of This World released 1987. I distinctly remember listening to these two cd’s over and over again. Probably because I was, and still am, such a huge Star Wars fan and it was the only way to hear the music of my favorite movie, because we didn’t own a copy of the films at that time. I must admit I was a little biased towards the Star Wars music, skipping over pieces of music from films like Alien, 2001: A Space Odyssey, Star Trek: The Motion Picture, Twilight Zone, The Cowboys overture, March from Midway, and March from “1941”. Naturally as a pre-teen, I wasn’t very familiar with these films, however; I always listened to music from E.T., Raiders of the Lost Ark, Superman, and Jaws. I fondly remember being home alone on a summer afternoon during school vacation, scared straight listening to the theme from Jaws. That slow approach of the shark creeping up behind you, then before you know it, it’s too late. You’re chum in the water. I always felt a little proud of the fact that the person chose to write the music for some of my and many people favorite films hailed right from my home state of Massachusetts. When the 4th of July celebration was held at the Hatch Shell in Boston, I always looked forward to hearing the main theme from Star Wars (who didn’t?). Even my dad, who wasn’t a fan of Star Wars, liked certain pieces of music from Star Wars. For example, Princess Leia’s theme from the original soundtrack, and Luke & Leia’s theme from Return of the Jedi were his favorites. I think he liked the soft, gentle side of them. I believe it reminded him of Mozart. There’s something about the music from John Williams that releases my creative juices. I could be having the worst case of writer’s block, struggling to write a paper for one of my creative writing classes, but as soon as I pop in the soundtrack to one of any six Star Wars films, it’s like opening up the Hoover Dam. My worries are over. Kind of like right now. When I saw Star Wars in Concert in Boston in November of 2009 with my older sister, we both thought of our father during the show. My sister admitted to me on the drive home that she had tears in her eyes during the show, because it so much reminded us of our father. That’s the power of John Williams’ music. 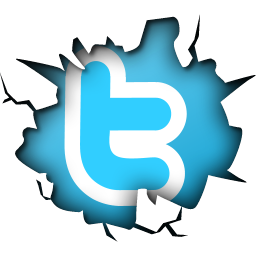 My name is Eric G. Onkenhout, and I'm from Massachusetts. I'm 40 years old now, and I've been a Star Wars fan since I was 7, before I saw any of the movies. I remember playing with my action figures before I knew any of their stories, so I would make up my own battles. I used to think the Stormtroopers were robots. Then I finally saw Return of the Jedi in 1983; reluctantly I might add because I knew Vader took his mask off. Of course things died down in the late 1980s, but thankfully I kept most of my toys and now my collection has grown substantially enough where I need a shed to house it all. Climate controlled of course. Unhappy with my job, I made a fateful decision of going back to school for a B. A. in Creative Writing at SNHU while still working full-time. I’ve been doing that since 2013 and I graduate in 2017. Right now I’m just trying to get my name out there and it would be a dream to one day work for Lucasfilm as a writer, where it’s Star Wars all day, every day.